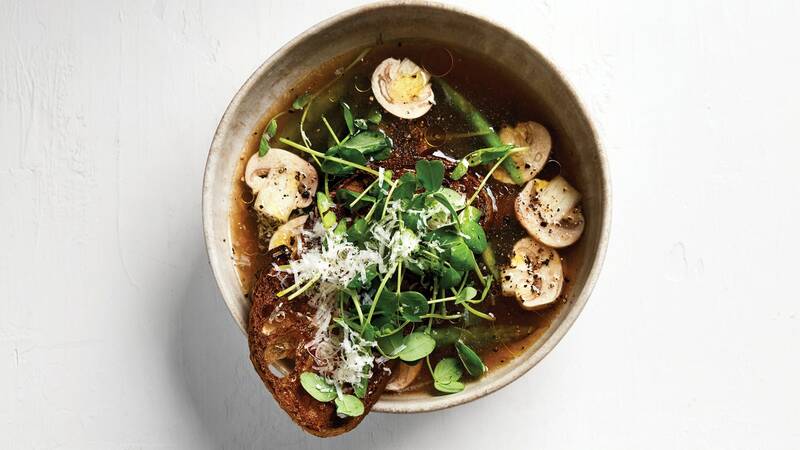 If chicken noodle soup is a winter blanket, then this brodo is a light spring sweater. In place of the rich, fatty broth, there’s delicate and lemony soup brimming with asparagus and pea shoots. Where there once were noodles, there’s a slab of irresistible olive oil–fried bread that stays crunchy on the edges even as it gets custardy in the center. If your butcher doesn’t have chicken bones, substitute an equal weight of chicken wings.